DorukNet Review 2019: Is DorukNet a Good Hosting? Turkish hosting company DorukNet offers unlimited packages with added support for premium SSL certificates and reliable backups. DorukNet was established in 1993 and went on to become one of the leading website hosting providers in Turkey, with multiple offices in its home country. It serves more than 2000 corporate clients and has so far registered more than 35,000 domains for its customers in the U.S., U.K. and the Middle East. 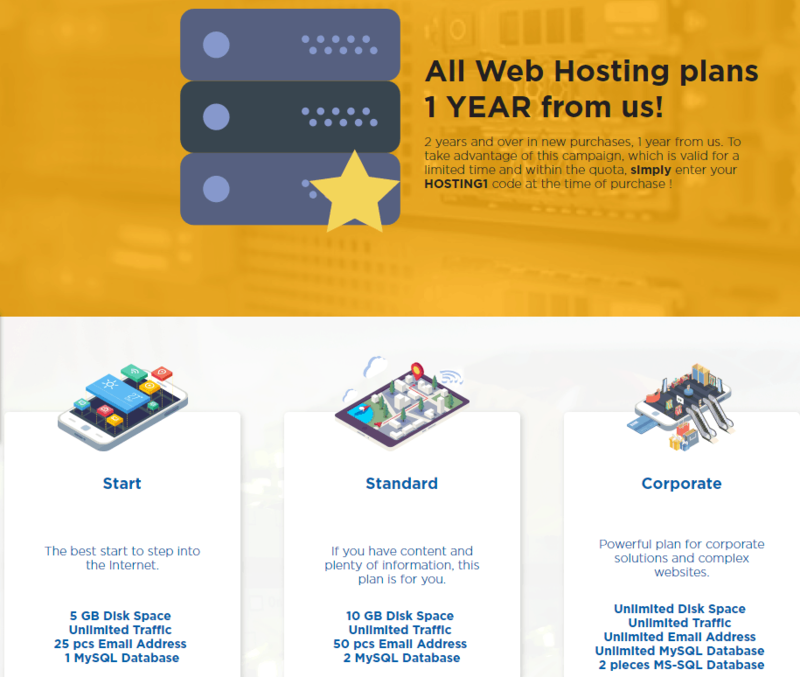 Website hosting is just one of the many internet services offered by DorukNet, but they don’t do a great job of promoting the hosting features on their website. I’ll take you through the features I could find. All their packages are available for both Windows and Linux based systems, and the amount of resources you get will be determined by the package you choose. Note that while all packages ostensibly offer unlimited bandwidth, this is subject to a ‘fair use’ policy, which you might deem to be somewhat unfair if you want to host a file sharing website. DorukNet offers regular advanced backups at additional cost, although you can still back up your own data if you don’t want to sign up for this service that features advanced file compression and file encryption. As with the added-cost backup options, you can pay a higher price to get SSL certificates provided in partnership with Comodo. These include specific certificates for e-commerce websites and other sites that hold customers’ private financial information. DorukNet’s packages are reasonably priced. They are named Start, Standard, and Corporate, and all of them offer unlimited bandwidth. The Corporate package also offers unlimited storage, unlimited email accounts, and unlimited MySQL databases. If you don’t need the limitless storage, you should probably stick with the Start or Standard plan. You have to pay for a minimum period of one year in advance, but don’t be surprised to get a discount (in the form of a year’s free hosting) if you pay for two or more years. DorukNet has a very active social media presence but their customer support system leaves a lot to be desired. There is no live chat or ticket support system, so you have to fill out a website form or pick up the phone to call their 24/7 telephone support hotline. You may need to talk Turkish even if you are an international customer, but I couldn’t completely confirm this due to the absence of live chat to ask. Typical protection on the hosting plans includes IPS protection, DDoS protection, plus FTP and HTTP protection. Nothing really stands out about DorukNet’s hosting features, but this might not be a bad thing if it signals a consistent core service. If only they had a trial period so you could take them for a test drive before deciding. Wondering how DorukNet stacks up against other Web Hosting companies? Enter any other Web Hosting company and we will give you a side-by-side comparison.